How to stretch your relaxer past 6 weeks for healthier relaxed hair. 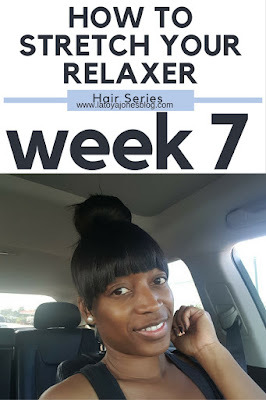 It is week 7 of the series! For most of you it is now starting to get very real! Don't give up, once you begin to get used to stretching, and once you see positive results in your hair you will get used to it. 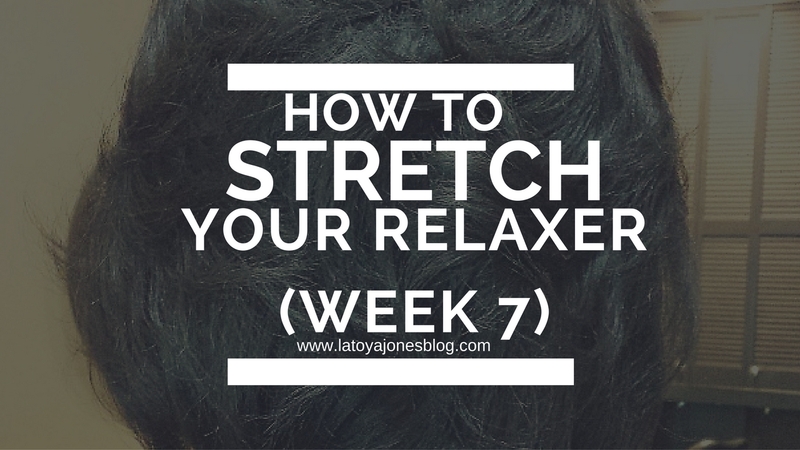 Pretty soon you are going to wonder how you ever even thought to get a relaxer every six weeks. And I am speaking from experience. You will notice your hair getting thicker, stronger, and breaking less. So I encourage you to stick with it at least another 8 weeks... Don't worry, I'm here to help! A nice bun with bangs never hurt anybody! This week was a cheat week for me (yes you can have cheat weeks!) because there was rain in the forecast for ALL seven days of the week. I was not about to do my hair all cute only to have the humidity and rain destroy it. I would rather save that heat for another week when I will actually get something out of it. However, not looking presentable is not an option so my go-to hairstyle for bad hair days is the bun. I love a good bun because it is something quick and easy that still looks nice. 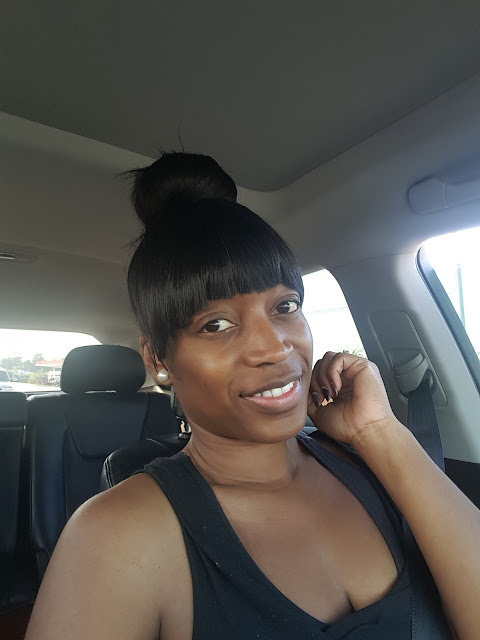 Buns are great protective styles, and clip on bangs allow you to change it up. For this week's bun I decided to add bangs. I did not cut my hair, I simply made the bangs (with L. Jones Hair Collection hair of course) and clipped then on. Every night, with the exception of the first night, I took the bangs off then re-clipped them the next morning. 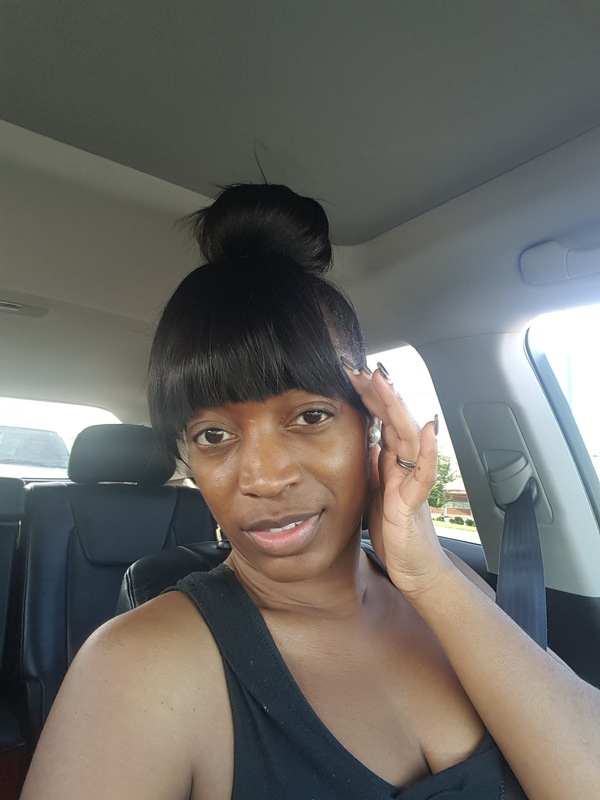 You will see in the video below how I tied my bun up with the bangs still on. Be careful with the clip ins because the comb attachments can pull on your hair. I recommend not leaving them in for more than a week at a time. 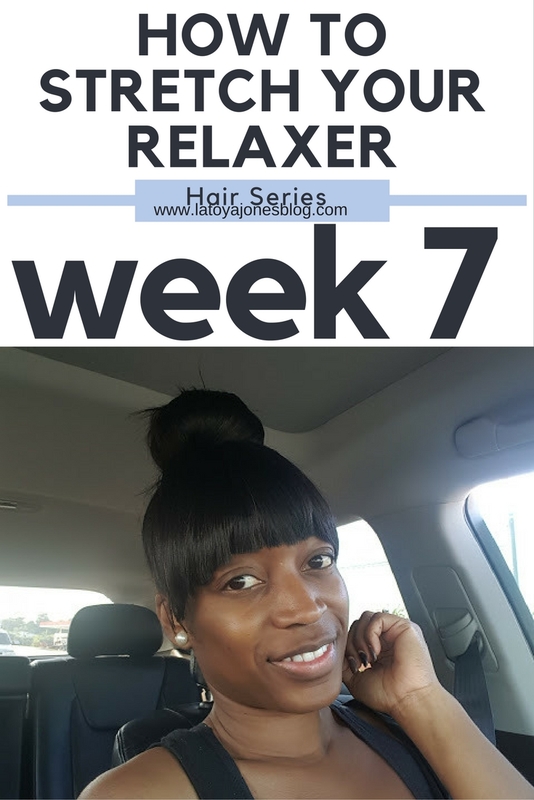 Check out the video for week 7 to see the bun come to life. Are you seeing results from your oil? When are you restocking your deep conditioner?